Sebring, Fla. — After months of preparation, Competition Motorsports is ready to open the 2014 IMSA GT3 Cup Challenge USA by Yokohama this week at Sebring International Raceway. The double-header race weekend will be staged as part of the first-ever IMSA TUDOR United SportsCar Championship race weekend as Sebring plays host to the 62nd running of the historic 12 Hour. Headed by experienced Porsche campaigner Bob Faieta, Competition Motorsports has signed drivers with speed, youth, and experience across a four-car line up for the 2014 IMSA GT3 Cup Challenge season. Michael Lewis (Laguna Beach, CA) and David Calvert-Jones (Los Angeles, CA) will contest the Platinum Class championship with the all-new Porsche GT3 Cup machine, with Fred Poordad (San Antonio, TX) and Blair Chang (Santa Monica, CA) ready to take on the Gold Class championship. A total of 36 GT3 Cup machines are entered for the Sebring event, with Race 1 slated to take the green flag at 5:30 PM on Thursday, with Race 2 coming at 8:55 AM on Friday. 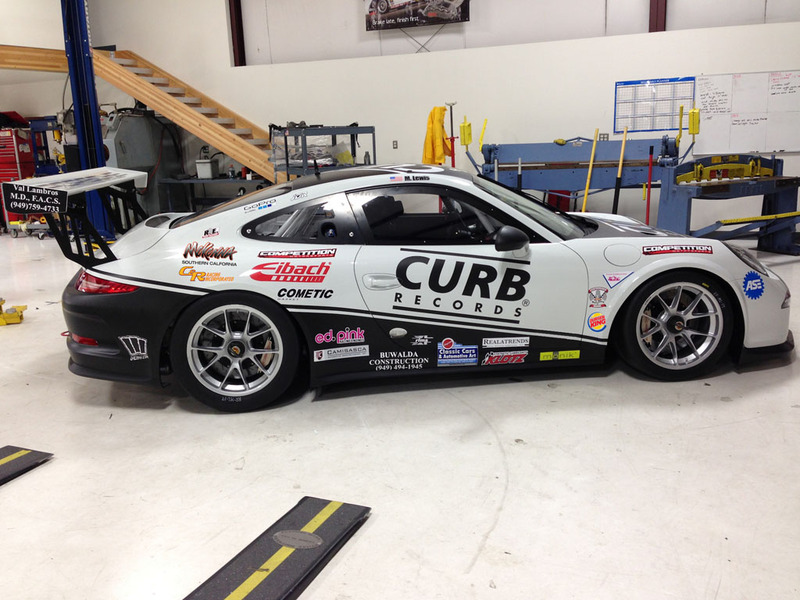 Based in Tujunga, California, Competition Motorsports has a singular focus on Porsche Cup machinery, with multiple IMSA championships to show for it. The team will look to continue that legacy of success starting with the Sebring opener this week. The weekend marks a significant departure for young Lewis, who brings to the team his recent experience in the Formula 3 ranks fighting in the open wheel ladder in Europe. After a strong showing in the Porsche Young Driver Academy last year, Lewis has now committed to the GT3 Cup Championship as he looks to establish himself Stateside. Not only will the event be his first in Porsche GT3 machinery, it will also be his first-ever visit to Sebring International Raceway. While Lewis is a new addition to the Competition Motorsports stable, the roster includes some familiar faces as Calvert-Jones, Chang, and Poordad have all raced with the team in the past. Having made his GT3 debut at the track in 2012, the return to Sebring is one that Calvert-Jones has been counting down to. With 12 cars entered for the Gold Class, the previous-generation category is loaded with some experienced racers. Having relocated from LA to Texas to continue his research at the Texas Liver Institute, Poordad is targeting a secure start to the year to get some momentum going into the season. The week will open with a promotor test day on Tuesday, with the first official practice session of the year set for Wednesday morning. Updates and timing to be available at http://www.imsa.com/series/gt3-challenge-usa.